Dr. Hao Wang is a native of China. Having joined the Guilford Orthopaedic and Sports Medicine Specialists in 2006, Dr. Wang brings a physical medicine and rehabilitation background to the practice. Nice manner and keeps you informed on what he is going to do each step in the process. Friendly as well as his staff. Alyssa is awesome. 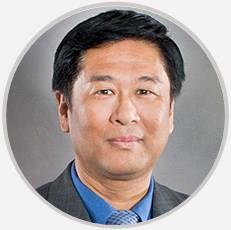 Dr. Wang is outstanding in diagnosing back pain and providing life changing relief. Takes time to explain things, expected results. Dr. Wang is a very caring doctor. He explained procedure well and answered questions. Dr. Wang is a true professional. Always concerned and caring, with the best interests of his patients in mind. I am grateful to have his expert care for my back issues. Thank you! Very competent and precise. Performed the procedure with promptness and professionalism.